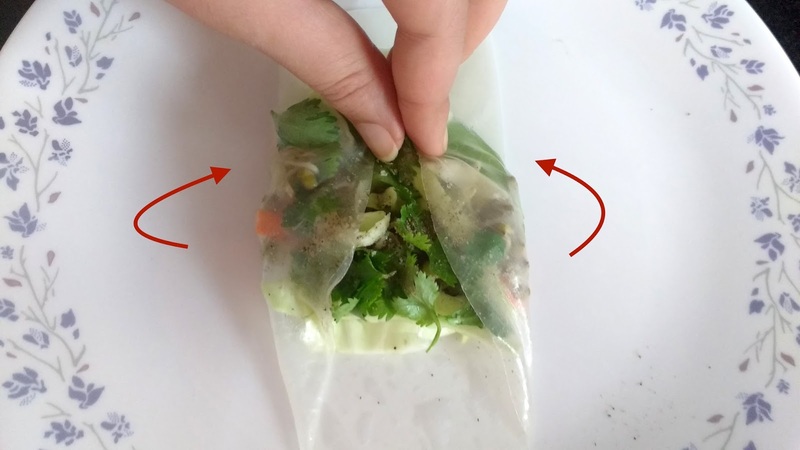 Vegetarian Rice Paper rolls is a refreshing, healthy combination of juicy crunchy vegetables and seasoning rolled together in a rice paper wrapper. 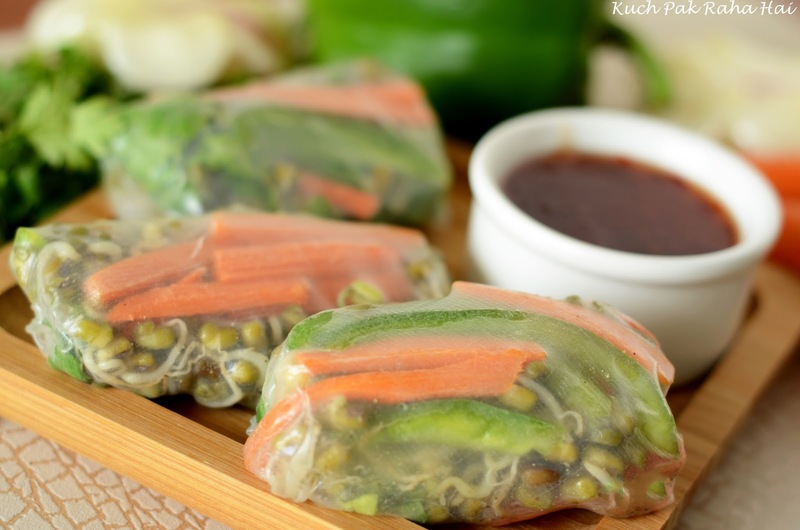 These are also called summer rolls and make for a perfect appetizer or evening snack. These Rice paper rolls are not only simple to make but quite easy too. It is great option especially for those who are on dieting/wight-loss regime as it is a perfect combination of proteins, fibre, vitamins and carbohydrates. It is also a gluten free recipe which makes it suitable for all those who are allergic to gluten or on a gluten free diet. 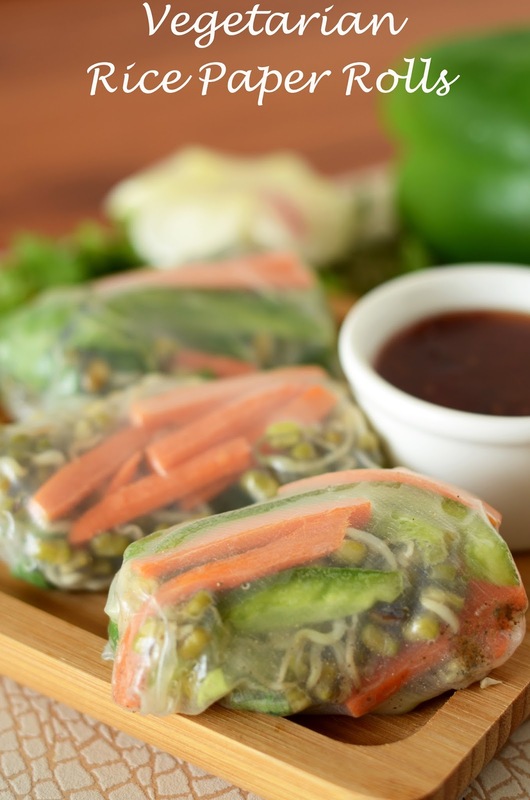 I have added sprouts in these rolls which are a main source of protein in this recipe. You can replace it with plain tofu, stir fried tofu or even paneer. For non-vegetarian version, chicken, fish or prawns can be added. 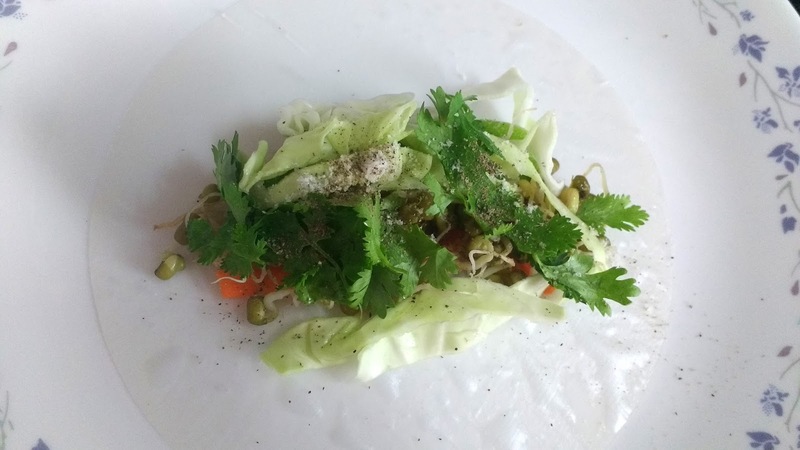 The veggies in this roll are to be added as per one's personal choice or availability. Usually those vegetables are added which are crunchy in texture like carrots, capsicum, Chinese cabbage, green cabbage or cucumbers. 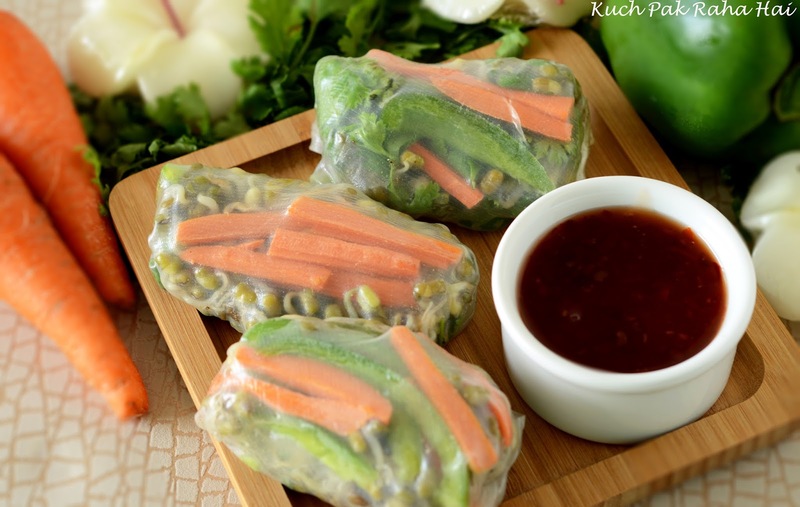 Soft vegetables like tomato may not taste good as it will give a squishy texture to the roll. For seasoning, I have added salt, black pepper, fresh coriander and lemon juice. 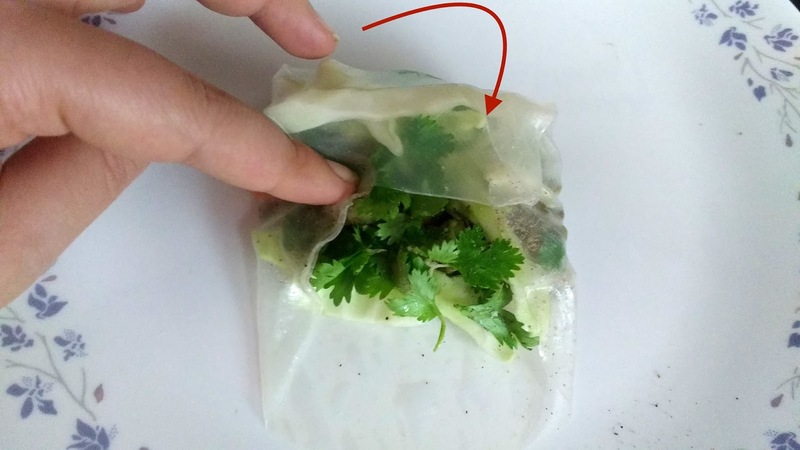 You can even add mint leaves to it. 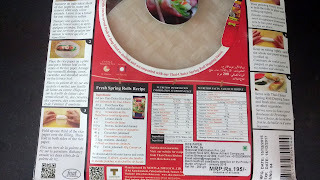 It is fireless cooking recipe. 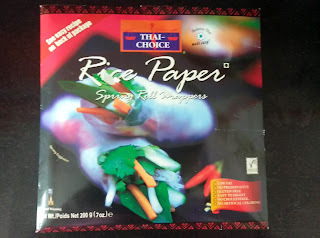 I have used Thai Choice brand Rice paper Wrappers for making these vegetarian rice paper rolls. It is an uncommon item so you would find it in selected retail stores. However you can easily buy it from amazon. To check out the ingredients, price and quantity of rice paper sheets on amazon, click here. 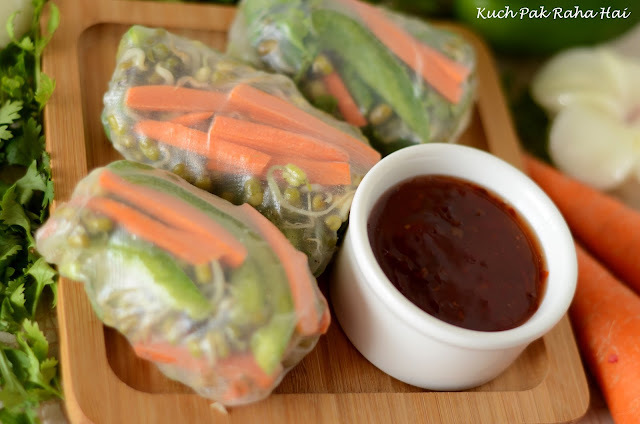 These rolls taste best with Sweet Chilly Dipping sauce as it balances out the sweetness and chilly when eaten with the veggies. You can make it at home or get it from market. 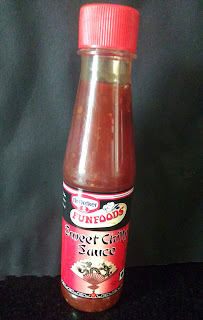 I tried FunFoods Sweet Chilly sauce and it tastes really nice. You can even have it with momos. 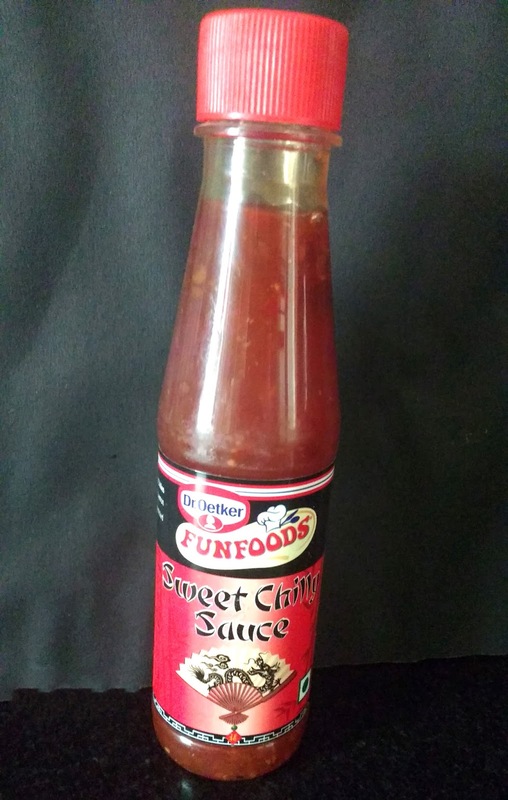 For buying sweet chilly sauce from amazon, click here. The first step in this recipe requires making of sprouts. You can made them at home or buy from the market. 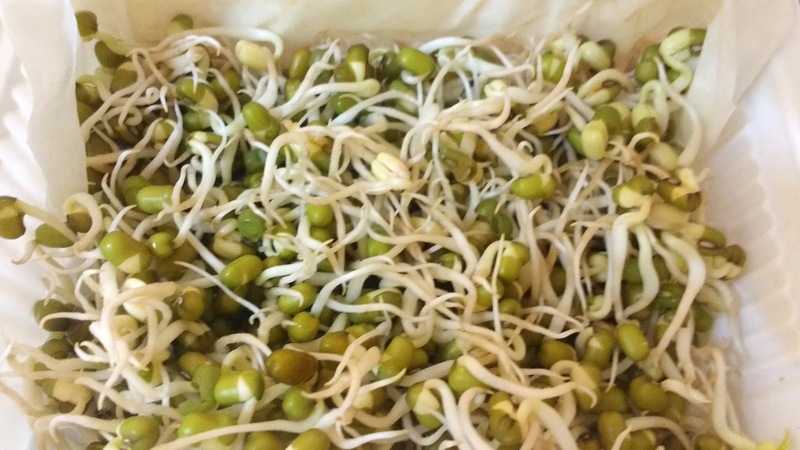 To know the procedure of making sprouts at home, check out the link here. They can be used as it is or after steaming. 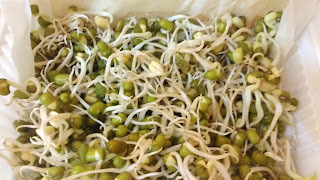 Sprouts can be replaced by tofu or paneer. Chop the vegetables in fine julienne. 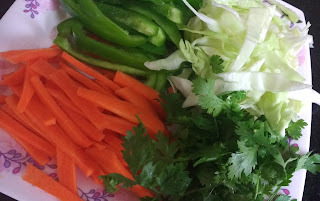 Cabbage, carrot, capsicum and coriander should be chopped finely lengthwise so that they can be rolled easily later on. 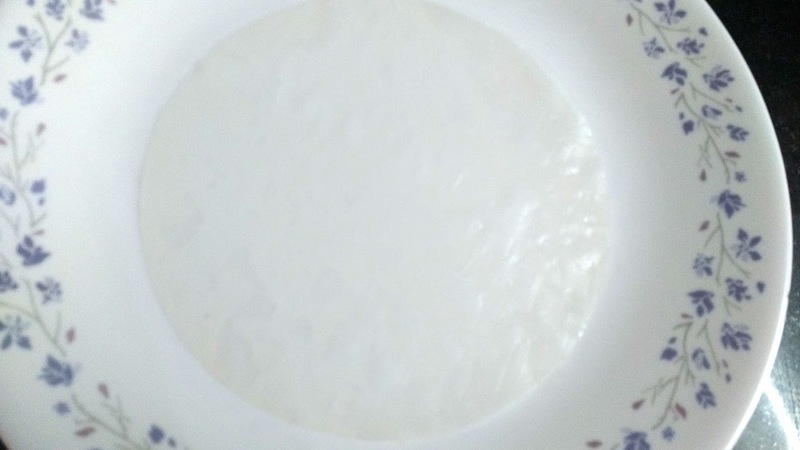 Take lukewarm water in a bowl. 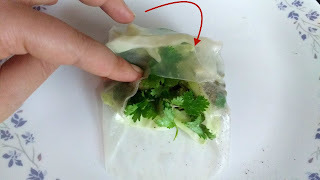 Dip the rice paper sheet in it for 10 seconds. 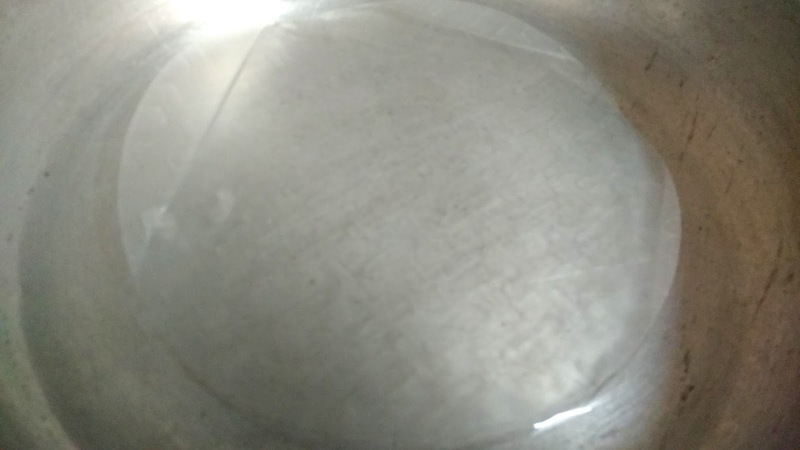 Bring it out and keep on flat surface. 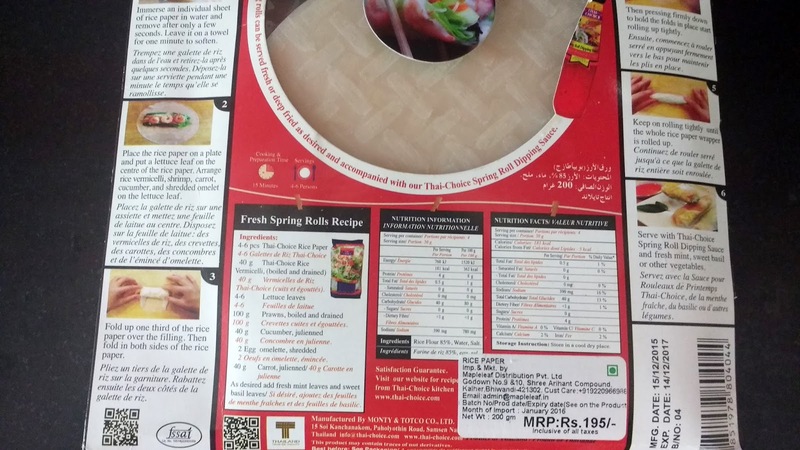 This is the step where we assemble the rolls. Place some sprouts, capsicum, carrots, cabbage, and coriander in the centre of sheet. Top it up with some lemon juice, black pepper and salt. This is the folding step. Below is the step by step method to fold the roll. Be gentle and patient while handling the sheet as it is really delicate. Take both the end of the sheet and fold like this. Take the top edge and start rolling it. Keep folding till it forms a tight roll. Serve these rolls with sweet chilly sauce or any dip of your choice! !